Home> Mobile> Games> iOS iOSAndroid> Family ActionAdventureArcadeBoardCardCasinoDiceEducationalFamilyKidsMusicPuzzleRacingRole PlayingSimulationSportsStrategyTriviaWord> 2009 - Film Bot's Movie I.Q. 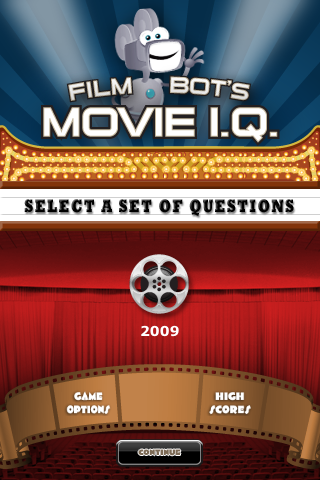 2009 - Film Bot's Movie I.Q. Film Bot’s Movie I.Q. - 2009 Edition! Think you know 2009 movie trivia? How current are you really? 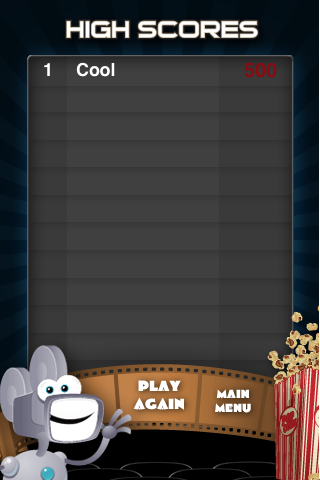 Then challenge Film Bot, the movie trivia robot! Film Bot Movie I.Q. 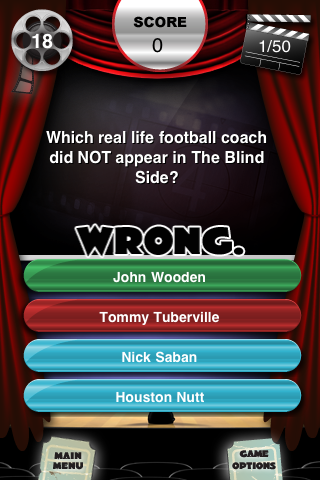 is the addictive trivia game that Hollywood calls “amazing” and “the best trivia game - EVER.” Film Bot serves up multiple choice questions on the movies you love. 1,000 for just 99 cents. Written by the experts for movie lovers like you! How well do know your favorite movies? Try Film Bot: 2009 and find out! 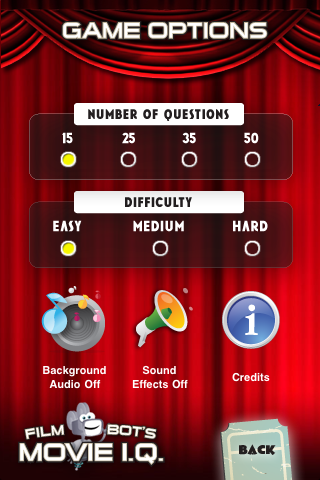 - Over 1000 questions from over 100 films only 99 cents! - Starring the all the big names of the 2009 including. - Easy, Medium and Difficult options! Film Noir - Film Bot's Movie I.Q.